By themselves as macrocyclics, phthalocyanines are of limited use; however, their metal complexes are critical to numerous industries as dyes, pigments, and industrial catalysts. 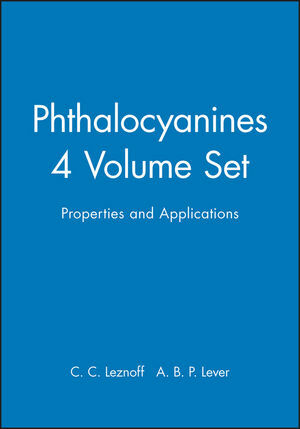 Phthalocyanines is a complete, comprehensive reference toward the properties and applications of these compounds, presented as a four-volume set. Covering all aspects of synthesis, bonding, behaviors, characteristics, spectroscopy, hazards, reactions, and much more, this set provides chemists, biochemists, and molecular biologists with the information they need to work effectively with this large family of compounds. 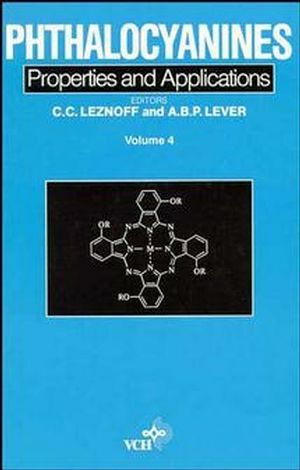 C. C. Leznoff is the editor of Phthalocyanines: Properties and Applications, 4 Volumes Set, published by Wiley. A. 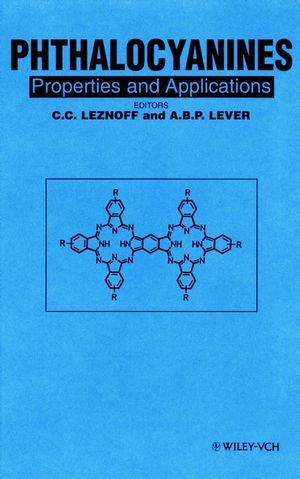 B. P. Lever is the editor of Phthalocyanines: Properties and Applications, 4 Volumes Set, published by Wiley. 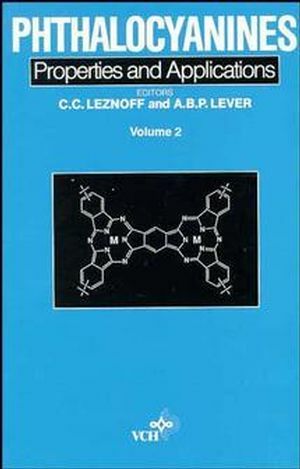 The Redox Chemistry of Metallophthalocyanines in Solution (A. Lever, et al.). Electrochromism and Display Devices (M. Nicholson). 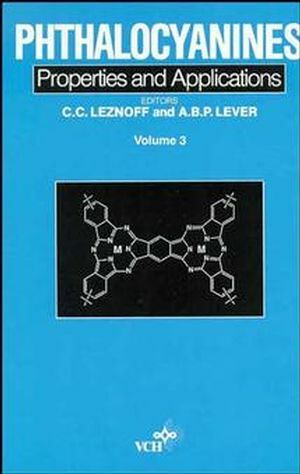 Phthalocyanine-Based Molecular Electronic Devices (B. Simic-Glavaski). Raman Spectra of Phthalocyanines (W. Smith & B. Rospendowski). Part 2: Ring-Oxidized and Ring-Reduced Complexes (M. Stillman).